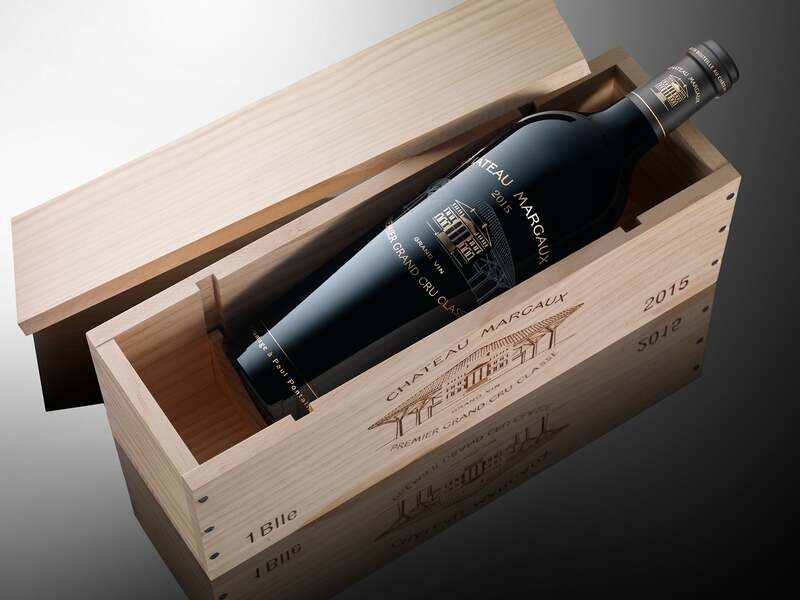 This year Chateau Margaux marked 200 years of their iconic estate by releasing a very special celebratory bottle – their 2015 vintage. 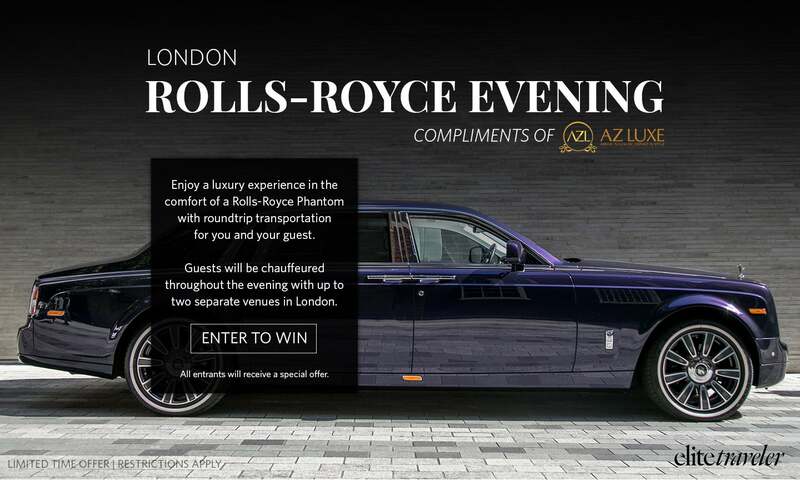 The blend is made from 87 percent Cabernet Sauvignon, Merlot, Cabernet Franc and Petit Verdot, all housed in a jet black bottle with a luxurious gold silk screen printed label. Watch your water boil and your pasta reach the perfect al dente in this borosilicate glass pot. Only 10 pots are handmade in Italy each day, making each piece as unique as it is durable. Don’t let the artistic design fool you — the non-porous material is flame-proof as well as dishwasher safe. Toasting flutes are a necessity for any holiday celebration, but colored crystal adds real vibrancy to the occasion. This Waterford barware is available in five colorways, be we particularly love the festive emerald shade in the Lismore pattern. Ever wondered if whole-grain bread really is better for you? How about if you really need to knead dough? 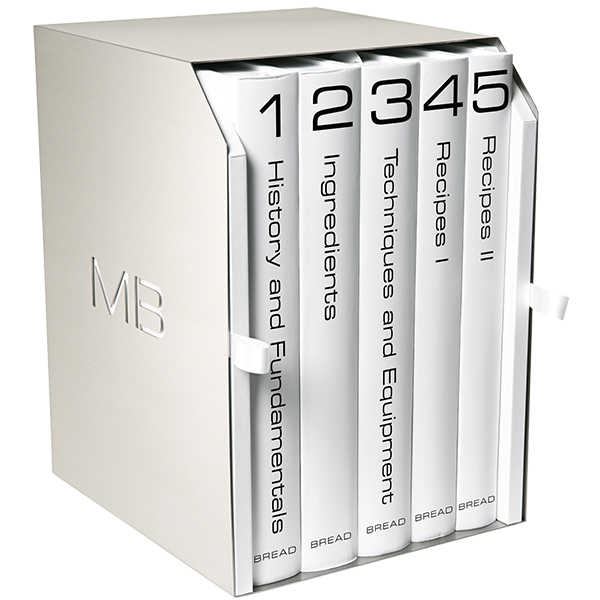 Whether you’re interested in the science behind it or simply love to bake at home, this five-volume series covers everything there is to know about bread. From Modernist Cuisine, these books explore the history of bread, debunk myths and provide more than 1,200 recipes to try. Don’t let a good champagne go to waste. In black lacquer with applied gold leaf, this high-end plug from Chamly preserves your special bottle in style. The piece is made from galvanized brass with gold leaf filed by expert artisans, making each plug beautifully unique. The French-made plug comes complete with a gold chain and champagne key. With multiple Michelin stars to his name already, illustrious chef Thomas Keller makes his foray into chocolate in collaboration with olive oil producer Armando Manni. 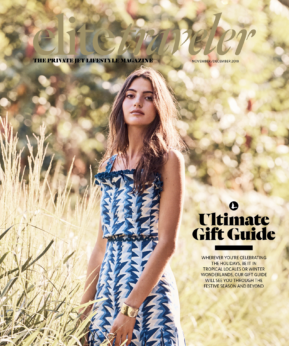 Along with chocolatier Chi Bui, Keller and Manni created a collection of indulgent, olive oil-infused chocolate. The four-pack gift box affords a taste of the season with milk winter spice and dark peppermint bars. Exclusively by Quick Mill for Clive Coffee, the Lucca M58 is designed to satiate coffee cravings in no time flat. In sumptuous bubinga wood, the dual-boiler espresso machine features an integrated timer that ensures the perfect pour every time. Multi-directional valves add an old-school element, incorporating the latest technology without compromising on aesthetics. You don’t need to be a sommelier to learn their secrets. Expert Enrico Bernardo lends his unparalleled knowledge to this luxury edition from Assouline to imagine the ideal wine cellar. The book celebrates the greatest vintages of the last century, charting their history, rarity and terroir. Housed in a wooden crate, the oversize limited-edition is a must for the oenophile on your list. The Last Drop Distillers has taken the hunt for the world’s oldest and finest vintage spirits into its own capable hands. Traveling around the world to uncover and bottle rarities, The Last Drop Distillers found this 1971 blended Scotch whisky, a triple-matured vintage blend aged 45 years. Elegantly presented in a forest-green leather case, the wax-dipped bottle sits beside a 50ml miniature replica, custom stopper and tasting book. Every gourmand needs something exceptional in which to serve their caviar. Detailed in 14K gold, this porcelain piece from Stefano Ricci fits the bill. Crafted to reflect the precious stone, the malachite-motif server features galvanized gold metal accessories. Open to reveal a crystal cup told hold your roe delicacy. Brighten up your cutlery collection with this set of table knives from Forge de Laguiole. French architect Jean-Michel Wilmotte is behind the design, which features an acrylic glass handle available in 10 colorways. Neon pink, purple and green seem to glow against the polished blade. Sake has had somewhat of a hard time over the years. While it’s still incredibly popular in Japan, since Japanese food became a mainstay in western cuisine we’ve seem some pretty sorry excuses for sake come out. However this Franco-Japanese composition by Regis Camus, made in collaboration with Dassai, is what true sake tastes like. All without the sulphites, additives and sugar. Our friends over at World of Fine Wine have been nice enough to supply us with a very special curated list of the best wine-related gifts you can give this year. I’m going to break the first rule, and suggest a few wine accessories. These are all extraordinary, artisanal, and highly luxurious while being practical to any wine lover. For top of the line glassware, forget any embellished or cut-crystal specimens. They may look pretty (to some) but they do nothing for the wine. 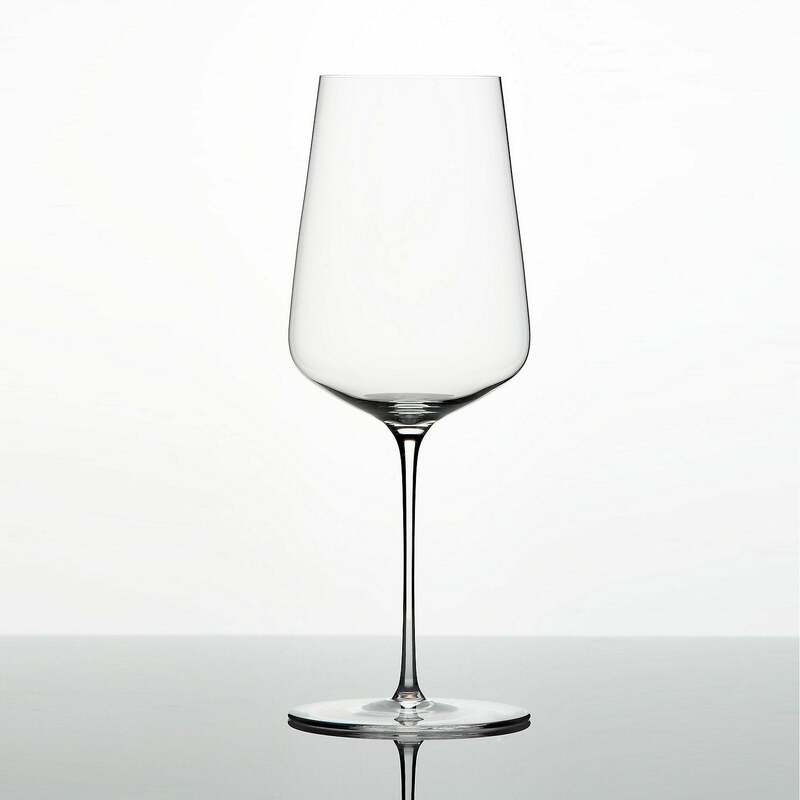 Feather light, mouth-blown, with multiple designs, Zalto glasses are arguably the best on the market. They look too delicate to handle but are surprisingly sturdy, and even dishwasher safe on the right settings. Made in Austria, and adored by sommeliers and true wine enthusiasts the world over, they are without doubt a brilliant gift that will elevate the whole wine experience. Most people own a corkscrew or two, and while there are many designs available they tend to do the same job: pull the cork from the bottle. Nothing particularly exciting about adding to this collection unless you leap far beyond the cheap, plastic, throw-away varieties and seek out a Code38 wine key. Handmade in Australia by an ex-aerospace engineer, with a custom-made helix from France and specially tough stainless-steel alloy from New Zealand. Not only impeccably designed, with perfect angles that maintain a vertical force that results in fewer wrist injuries, this cork screw is ideal for mature fine wines with crumbly corks to avoid breakages. In 2013 an innovative wine tool launched on the market causing major commotion in the wine world. The Coravin preservation system involves a needle that penetrates the capsule and cork, retrieves 150ml of wine, fills the space with pure Argon gas, then retracts allowing the cork to reseal itself, keeping the wine fresh for several more months. Collectors, fine wine trade and sommeliers championed this wine-by-the-glass tool as ‘revolutionary’ for opening up the possibility to taste or serve fine wine without the pressure of finishing the bottle. Now dubbed as the ‘Nespresso of Wine’ that will be in every kitchen, Coravin has just rolled out a new complementary accessory to allow its preservation system to work with wines sealed under screw cap. Learning about wine undoubtedly enhances one’s appreciation of the subject and ultimate enjoyment. 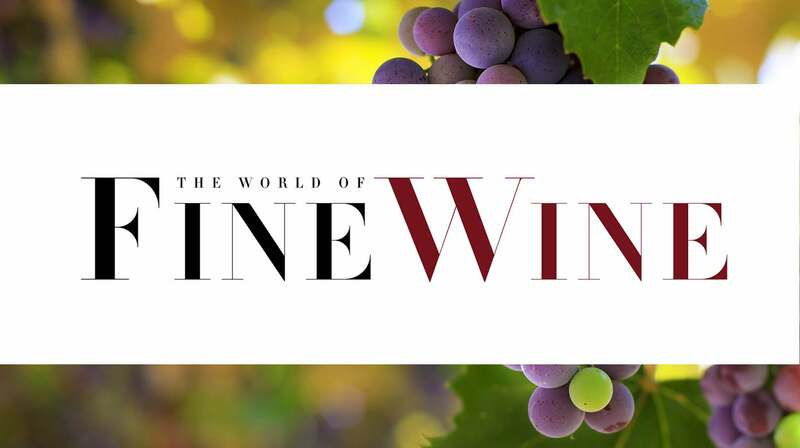 Considered the most important and influential wine journal by world-renowned critics and producers, The World of Fine Wine is an ideal gift for seasoned wine enthusiasts or budding connoisseurs. The subject matter spans from in-depth tastings and analysis, to expert commentary on viticulture, winemaking and service as well as examining the role of wine within art, history, literature and music. Two brilliant yet different Champagne books have been published this year that have received rave reviews. 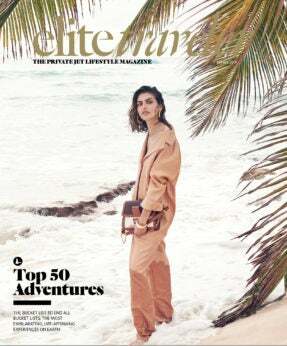 A lighter read (literally a paperback that will fit into your travel bag) and intended as a Champagne lover’s travel companion, Essi’s Champagne Book outlines the who’s who of the Champagne region, but more importantly offers expert advice on planning your trip through this classic region. 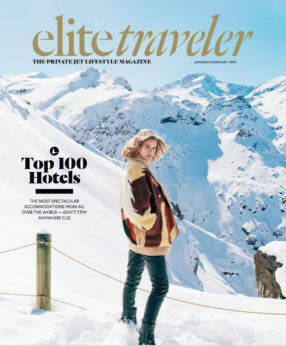 Different routes and itineraries are laid out with practical tips on where to eat and stay. For those who prefer to discover Champagne from the comforts of their home, but still dive into the technical details, Peter Liem’s Champagne [Boxed Book & Map Set] is an exquisite addition to your home library. This luxurious box set includes a pullout tray with a complete set of seven vintage vineyard maps by Louis Larmat, a rare and indispensable resource that beautifully documents the region’s terroirs. There is no better way to enjoy wine than by visiting the actual vineyards where the grapes are grown, meeting the winemaker, and tasting the regional cuisine. A common problem for wine lovers is how to carry and transport all of the wonderful bottles they inevitably pick up at the cellar door. Fashionable oenophiles will rejoice to discover that the Louis Vuitton Noé Bag provides a stylish and functional solution. Gaston-Louis Vuitton created the classic Noé design, in 1932, to fulfil the request of a Champagne producer who needed a stylish bag in which he could transport five bottles of bubbly. 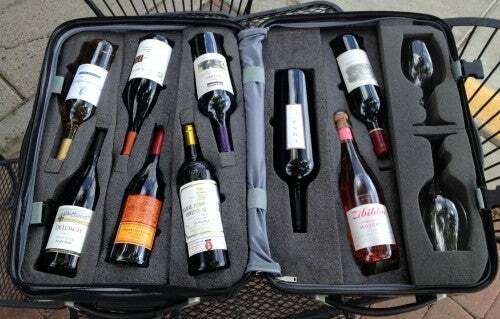 For those flying with their precious cargo, a special suitcase for wine bottles is invaluable. VinGardeValise is a rolling hard shell suitcase lined with high-density, temperature-regulating foam that protects bottles while in transit. Available in Grande (12 bottle capacity) or Petite (8 bottle capacity) sizes, the case can accommodate most bottle shapes from Riesling, to Bordeaux, Burgundy and Champagne. And finally, wine itself can of course make for a special holiday gift. It helps if you have an idea of the style or producer the receiver particularly enjoys. If you don’t know, seasonal options like vintage Port or a vintage Champagne are likely to be enjoyed by all over the holiday period. Alternatively, a smart wine club is an excellent a year-round gift that will delight every month. Join the Club Rouge wine club, organized by the legendary Kermit Lynch, to discover the top wines of France and Italy that are worth cellaring. If you do know which wine to purchase, and the opportunity presents itself, upgrade to a larger format bottle. Most wine ages and keeps better in Magnum or larger sized bottles, rather than a standard 75cl. Even if the volume is identical, one Magnum is always more thrilling than two bottles of the same wine, and there is never a better time to indulge in luxuries than the festive season!